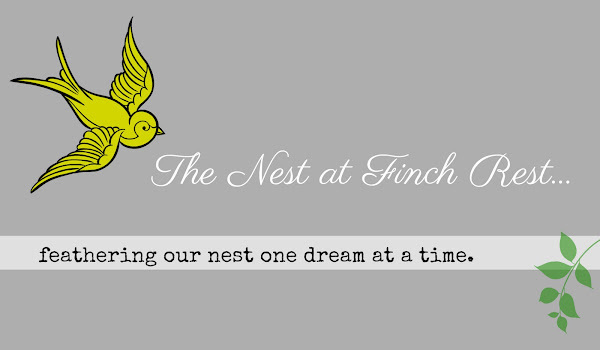 The Nest at Finch Rest: Happy 1st Birthday, Granddaughter! Oh my, oh my! What a happy and special day! at her Auntie Eve and Uncle Dan's on Saturday. and it all tied in to the adorable personalized invitations, too. There were banners and streamers and balloons everywhere! sneaking in a kissy-selfie with the birthday girl! And didn't we have a nice and festive welcome out in front! these early pics were taken before all things were put out. the Princess of the Day was definately the highlight! cuz she's looking right at her Grammie! She's growing way too fast. She walks now. She speaks more than a few words. And she's getting her 7th tooth. Her Momma and Daddy are so happy and proud. 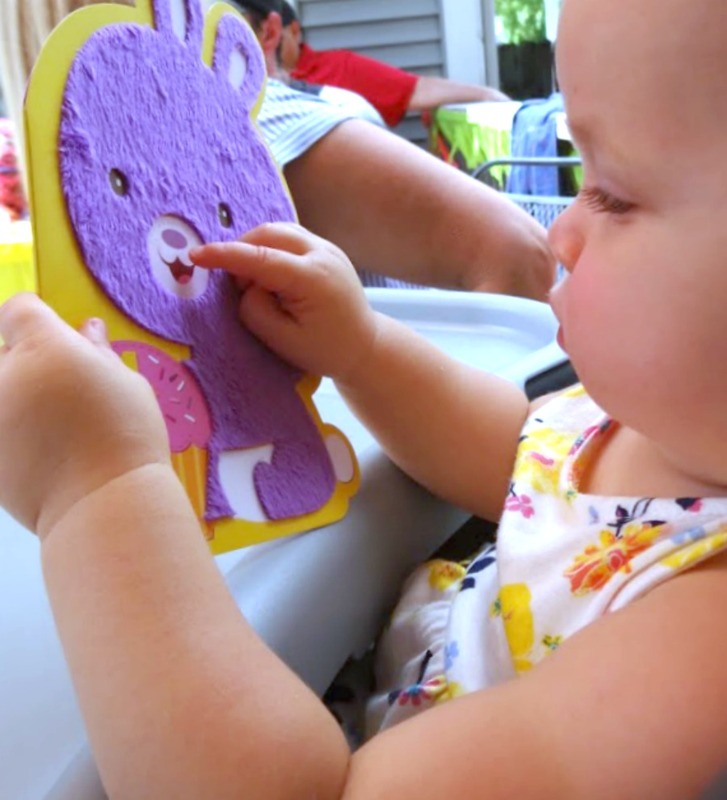 to even decorate her high chair! than in posing for the camera. She didn't even know what to do with it at first. 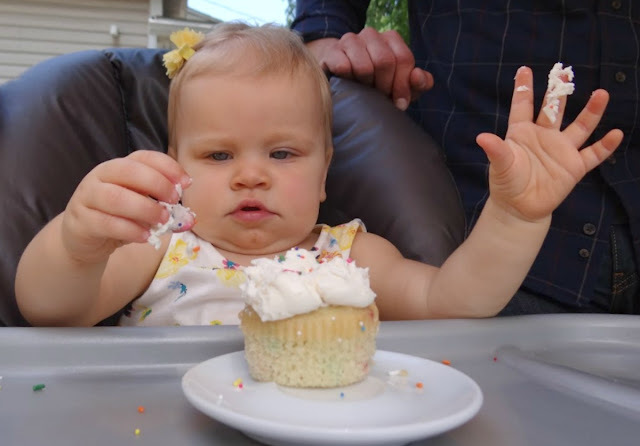 I don't think she liked the sticky/gooey mess on her fingers. and took the rest of it away. happy potted sunflowers on them. They matched the sunshine we had all day! from berries from her gardens and Eve's mulberry tree! 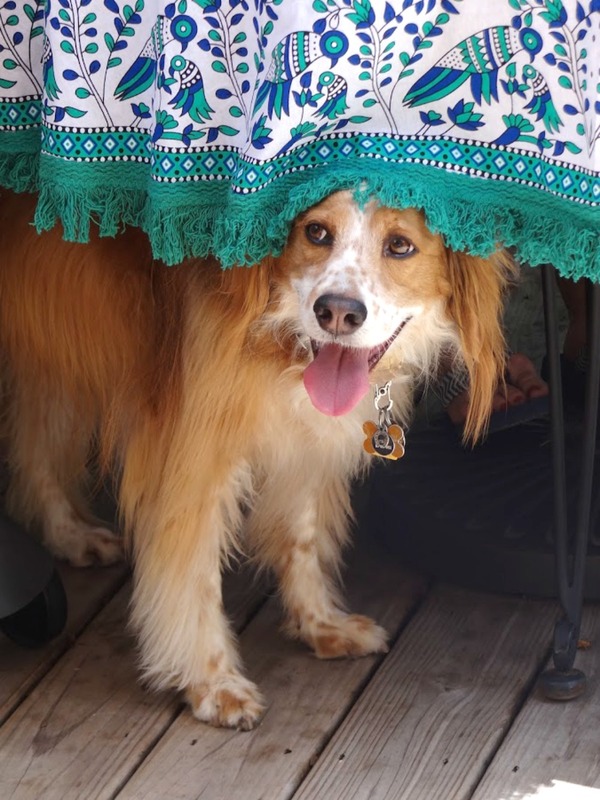 Here's our sweet grand-dog Derby. She was so good with all the commotion yesterday. 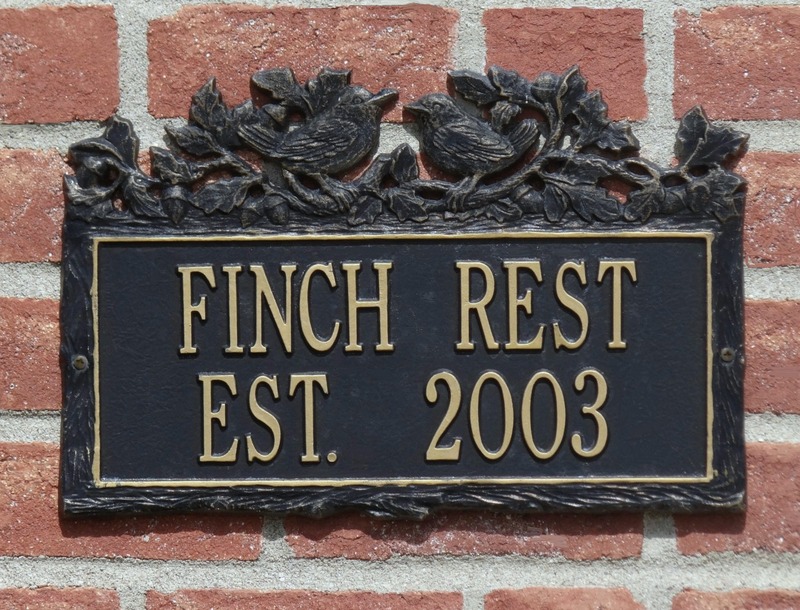 for sweetly sharing your lovely home with us. table and chair set that Auntie re-did for her. This was a trash-to-treasure save - and it is a solid wood antique! I told you my eldest daughter is very crafty! in her presents at all... till she got some new books. She was "reading" them aloud to herself. babbling away quietly in baby speak - it was so cute. I just adore the determination she shows on her face as she is opening it up. Look at those pursed lips! But the pic below wins the prize! LOL! Book up-side down, too funny! She really loved her fuzzy birthday card, too! It has a pink and sprinkled cupcake with a 1 on it. this very special birthday party! We love you, sweet baby girl! I'll try hard not to stay away so long next time! It's been a year already? Happy Birthday to your little princess. Appears it runs in the family to be crafty and go all out for a celebration...and why not! Aw, what a sweet, sweet little granddaughter you have there, Michele. . .This must have been such a fun time with her! I love all of the ideas your daughter has here for the decorating, especially the cupcake picks with little Vivian's photo. Too, too cute! What a cutie pie. Her birthday celebration is wonderful and so fun. The cupcakes are darling with Vivian's sweet little face. I think it is wonderful you met Kitty and her family in person. What a lovely gift you brought for Kitty's mom. Happy Birthday to your precious Grand. They do grow up too quickly. Looks like a wonderful party. She is just adorable. Happy Happy! Isn't she a darling! nd what a lovely party! So nice to have you back, and thanks for the visit! Oh Michelle, she is so special and I know you love her to the moon and back. Aren't grandchildren wonderful. That Bday party sounds great and she did so good with everything going on. Your daughter is very talented isn't she. Miss your posts and hopefully will see more soon. How very sweet Michele! Your grandbaby is so adorable. Happy Birthday, sweet child. And what a handsome granddog! Oh my goodness, little Vivian is absolutely adorable!!! 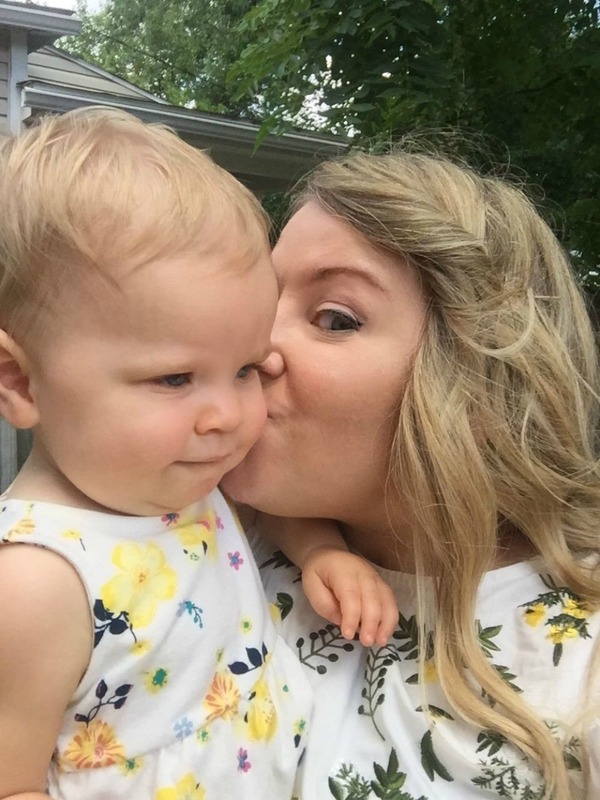 I'm so glad that you shared her first birthday with us, my friend. What a party she had, and all hosted by her Auntie and Uncle. The cupcakes picks are too cute for words. The table and chair set is so darling! I would love to have that cute set at my house. Isn't it sweet that Vivian loves books? My little Harper has always loved books, too. Hmmmm...I wonder could it be because it delays her bedtime by her parents reading books to her??!! 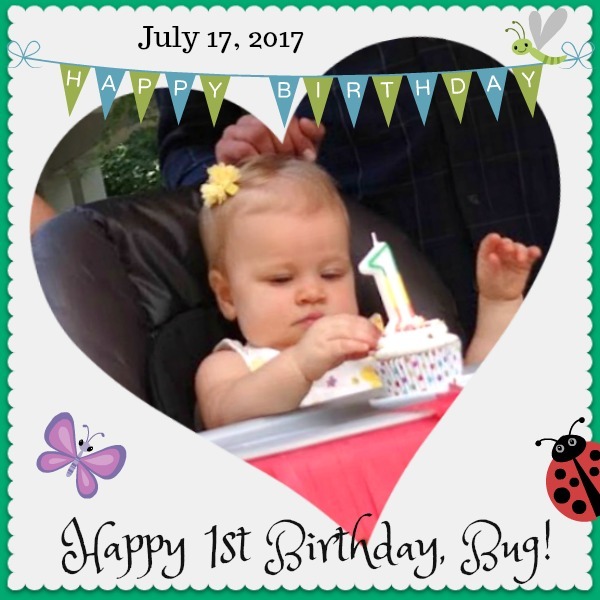 I can't believe that your sweet grandbaby is one already!! The subscription will probably arrive tomorrow morning...I'll test that and see. Oh I remember that feeling! The first is so special and I love how you celebrated. Food looks delish and the baby table and chair is adorable. Happy first to your special little grand. 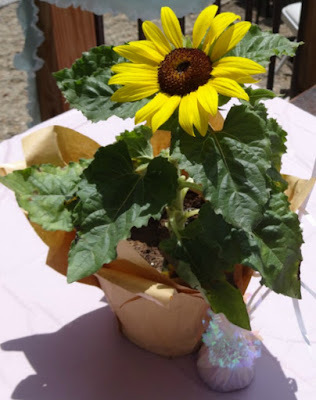 We just celebrated our grandson's ninth! Awww so sweet Michele. 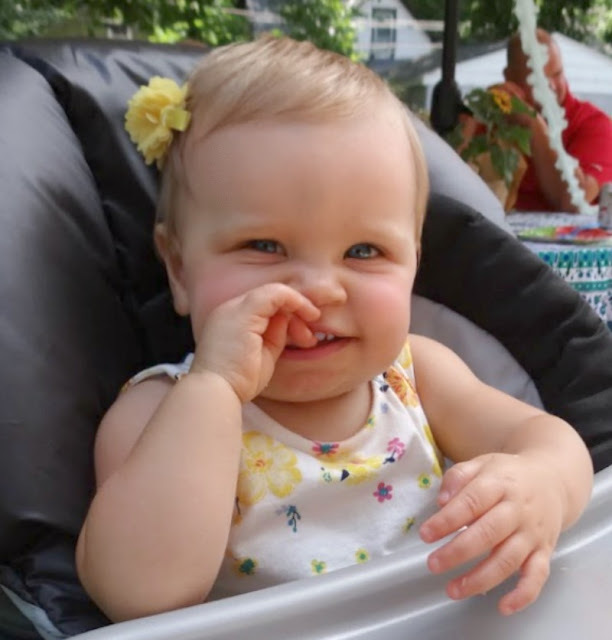 We just celebrated our little granddaughter Charlotte's first birthday. Hard to believe they are a year old already. Time really does fly. I love the cupcakes so adorable. Glad you had a great celebration. Have a great new week. Now THAT is a party surely fit for a little princess if I have ever seen one! Vivian is just adorable and what a blessing she certainly must be to your family. 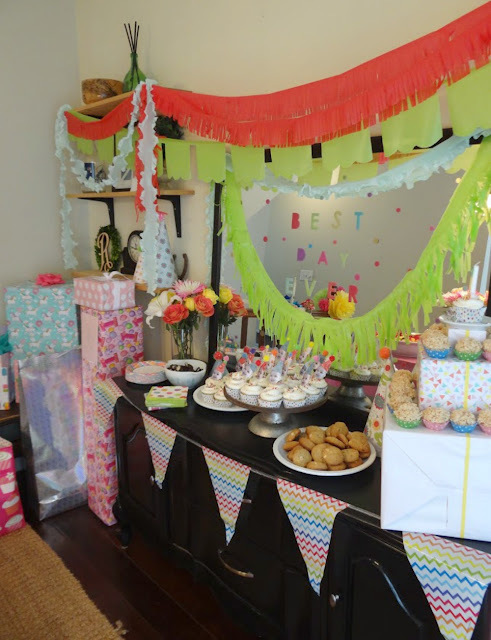 Evie most definitely went above and beyond setting up that special party...the decorations and food are just fantastic. Happy Birthday, little Vivian! WOW!! Hard to believe she is already a year old. Time goes by way too fast for these grands. They grow up so quickly. 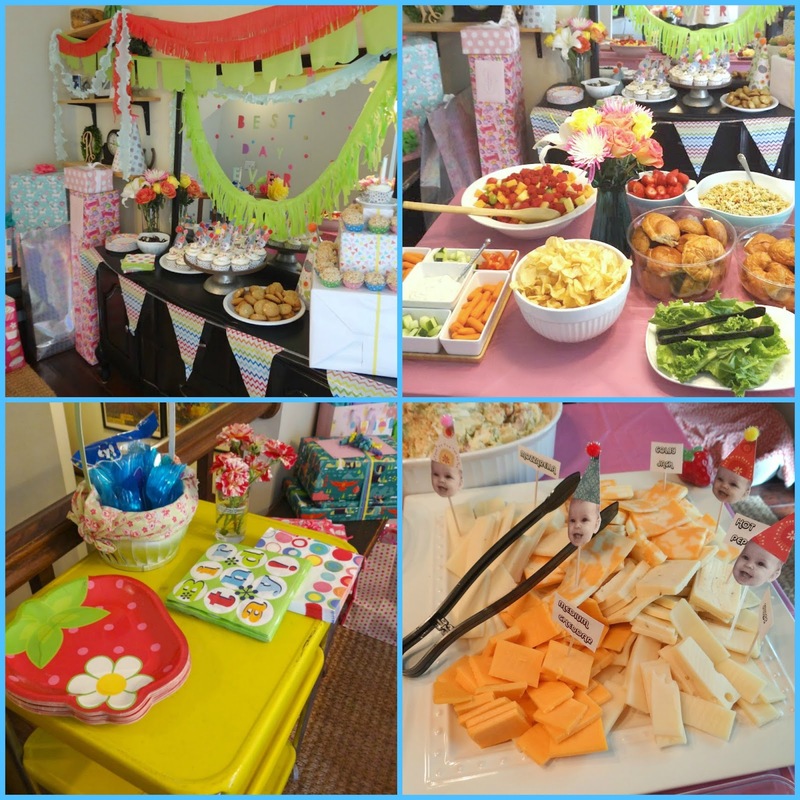 The party decorations and food ideas were so creative. It all looked delicious also. The gifts were very special too. What a fun day for all of you. Be thinking about number 2 it will be here before you know it. HA!! She is adorable!! Wow! I can't believe it's been a year already! It seems like just yesterday the little angel was born. The party looked amazing, my friend! Thank you for sharing your photos with us. I trust you are well and enjoying your summer. Much love to you! WOW! What a great party!! Baby is adorable !! Great job on decor and food !!! A D O R A B L E !! You always do things up right! Great shot of Derby. Lovely to see folks having good times. (Do we blog anymore? Summer is hard for that!) So glad you stopped by! I can't believe sweet Vivian is one already! What a precious little doll she is, I so enjoyed all of the pictures. The party and all of the details are wonderful...I love so many of the ideas...the cupcakes with the cute picks, the high chair decorated so cute...she has a loving and adoring family! Oh she is so precious and the first year went so fast. 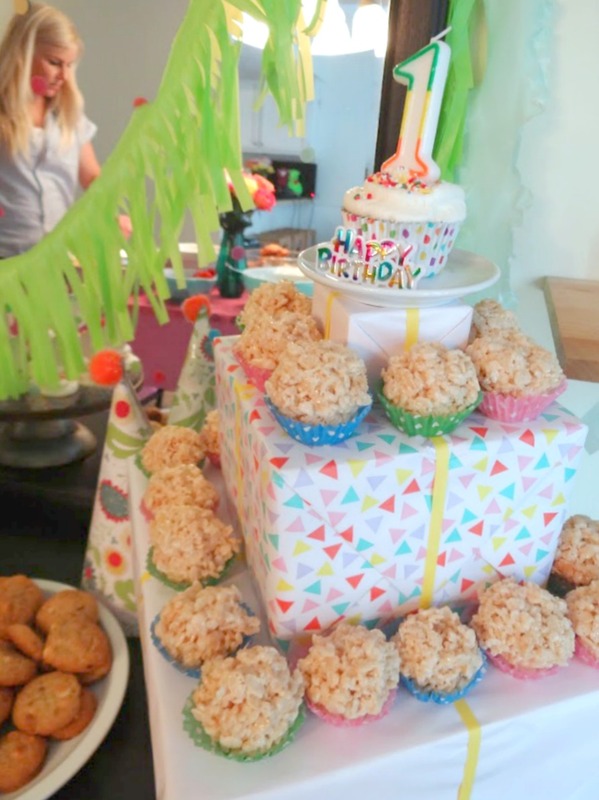 What a special party at her Aunt's house and yes, your daughter is crafty and creative. 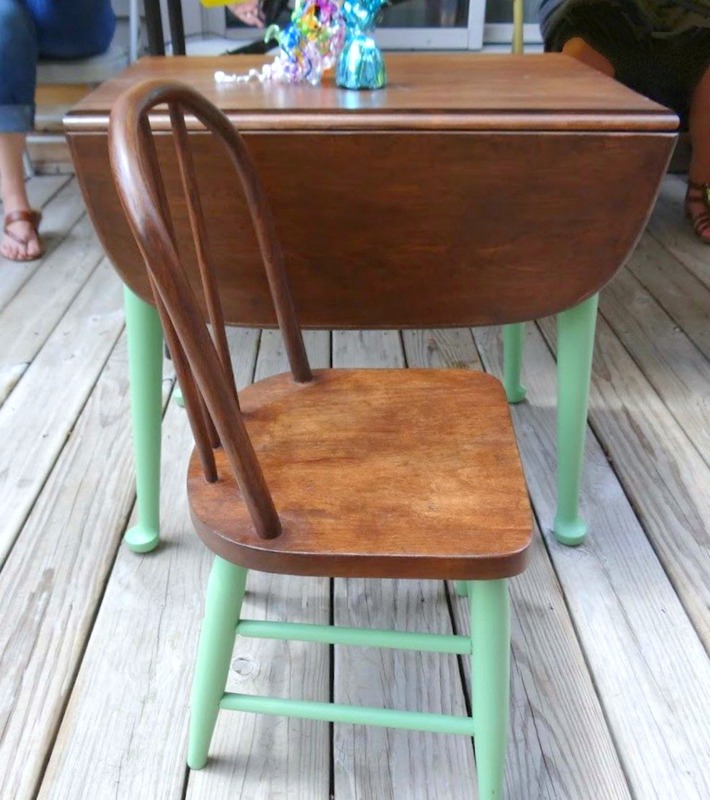 The antique table and chair is just perfect for a little girl. Blessings to all. She's beautiful! You threw a lovely party. It's hard to believe she is one already! Wasn't she just a new born a blink ago? It looks like a wonderful party put on by your creative daughter. She takes after you! Sweet baby girl! 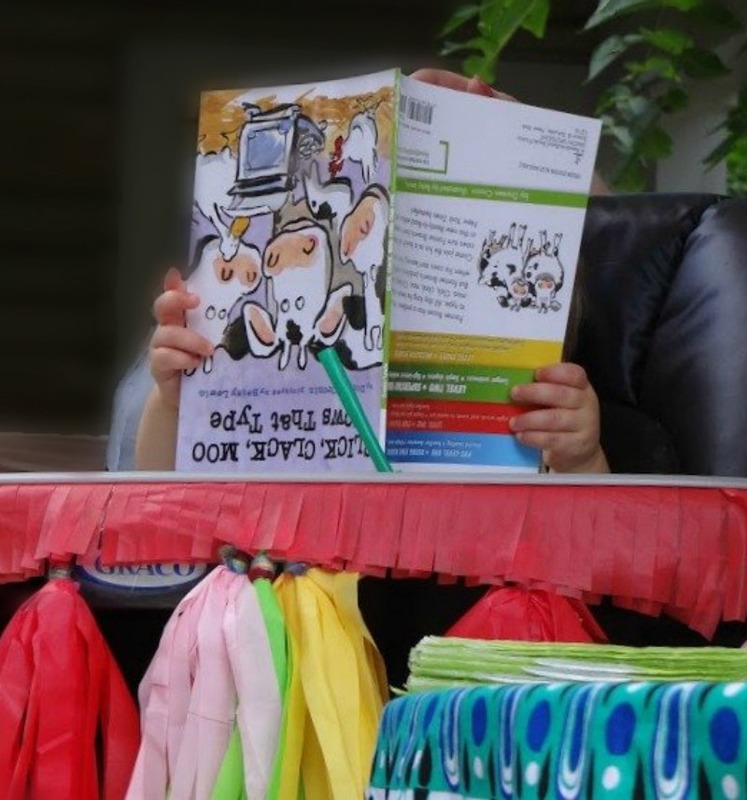 I love how she loves reading, whether it's right side up or not! Michele, she's a dolly! So cute! The party looks so colorful and fun too! 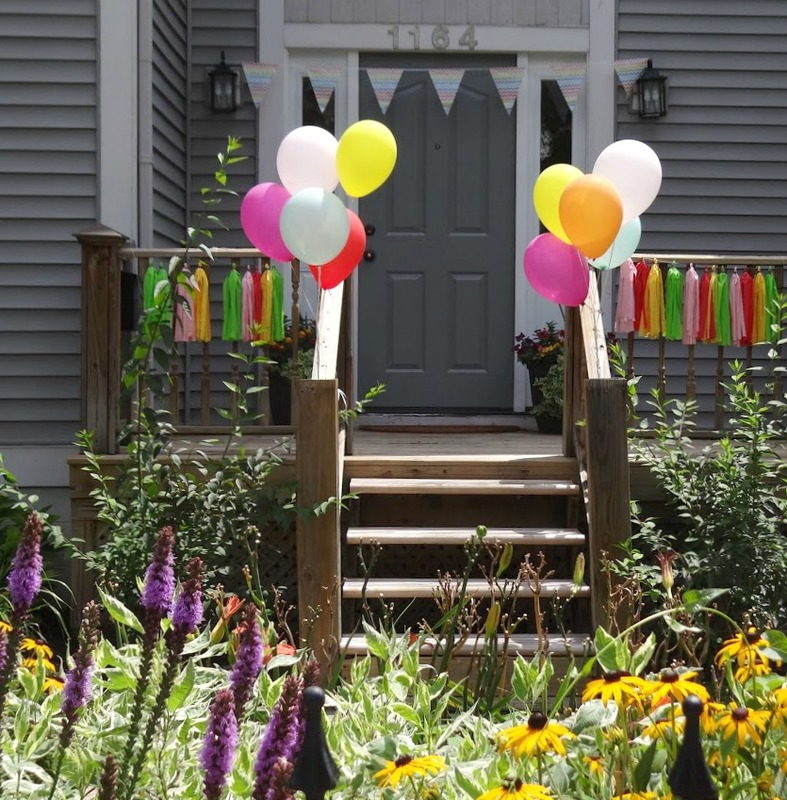 It's hard to believe it's time for a first birthday party! I can remember when you were over the moon when she was born! What an amazing celebration! Vivian is adorable.....Happy Birthday! Happy Birthday to Vivian! What an amazing 1st birthday party. Your daughter did a wonderful job with the party and refinishing the table set. What a beauty! They grow so fast! 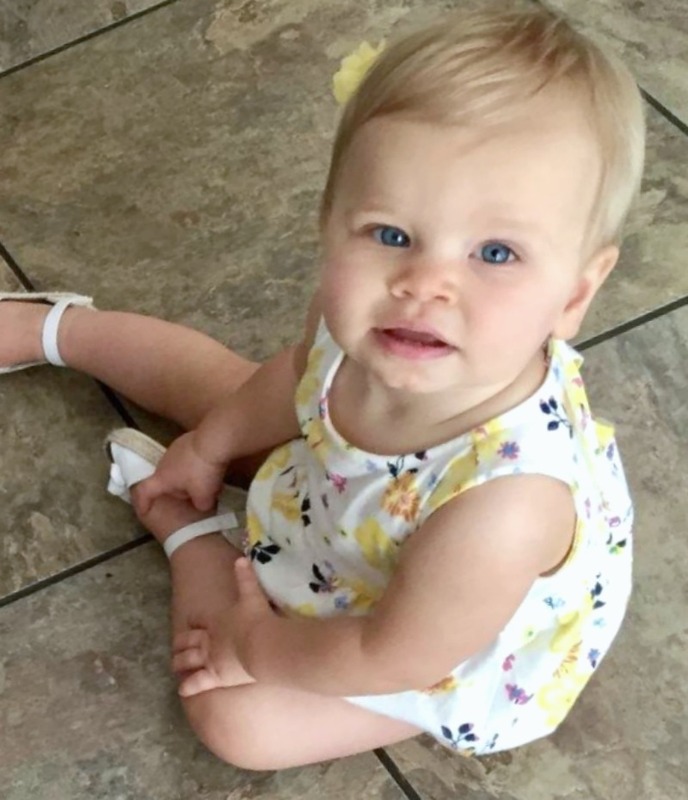 I have a 7 year old granddaughter and two grand daughters who are 9 months old already! What a wonderful first birthday party, and it's great that you took so many fantastic pictures to share with her when she's older! Making memories is so special. Your daughter is, indeed, very talented. And Vivian is precious! Thanks for sharing the happy occasion with us! 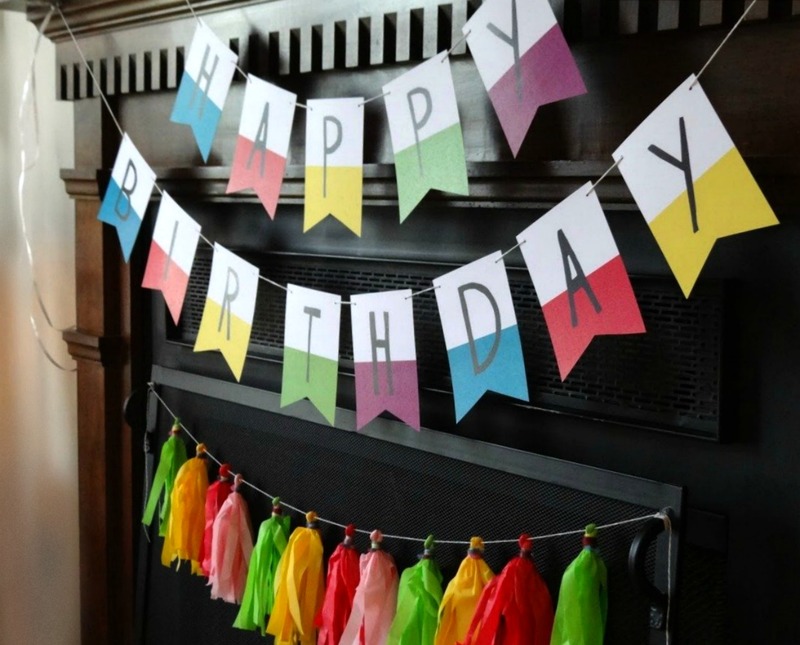 What an adorable birthday party- love the bannners and streamers! Vivian is so precious. Your eldest daughter is definitely crafty and I love how that table and chair set turned out. Happy 1st Birthday Vivian! Oh, happy birthday to sweet Vivian! Seems like just yesterday we were "waiting" for her along with you out here in blogland. She just gets cuter by the day! 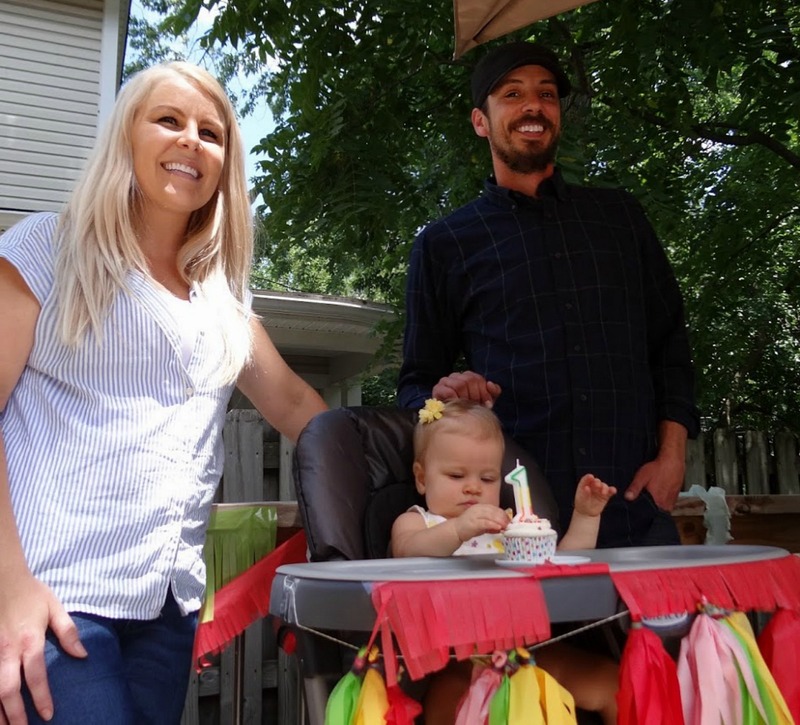 And my goodness, I'm not sure I've ever seen such an elaborate first birthday party. Kudos to her aunt for all those amazing decorations. 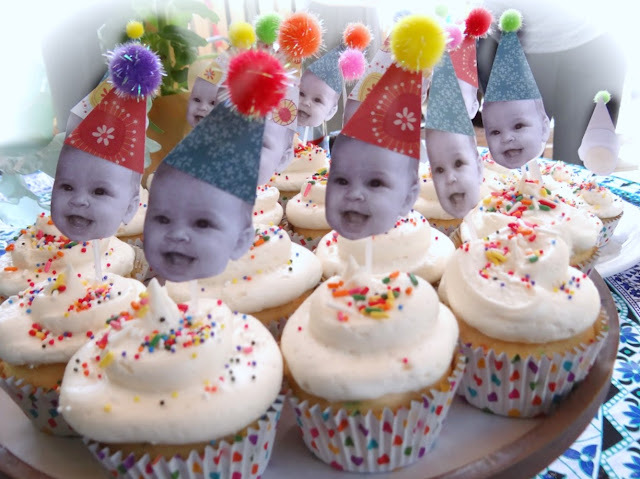 The little cupcakes with Vivian's picture on them made me smile — absolutely adorable! 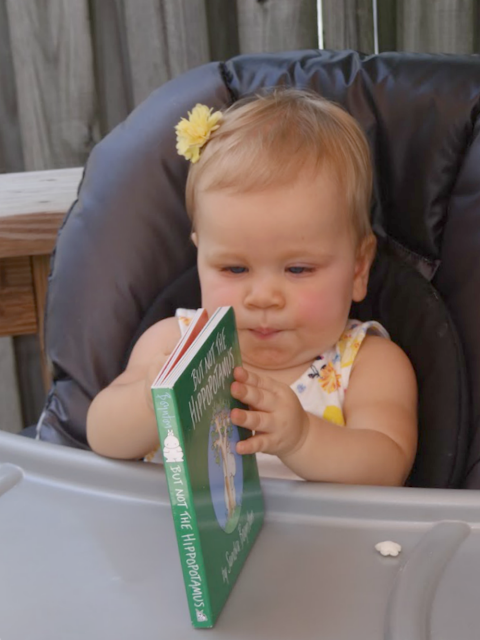 Of course, I am personally thrilled she is a reader. All who love books have my heart!